1. Marinates the minced meat/turkey with some salt and cooking wine. 2. 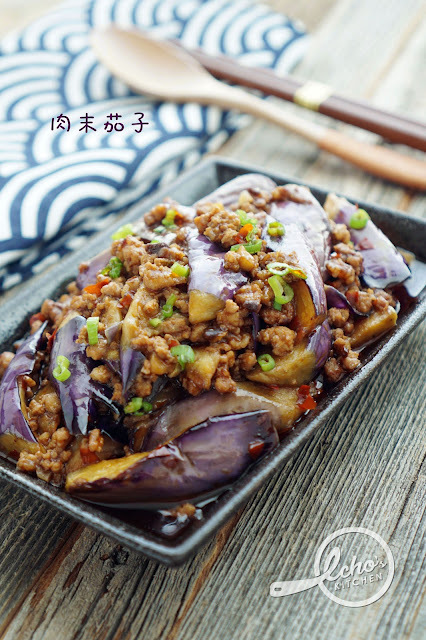 Roll-cut Brinjal and soak in salt water to prevent changes of color. 3. Heat up about 2 inches of oil in a cooking pan/wok. Drain the Brinjal and fry the Brinjal for 2-3 minutes, drain and set aside. 4. Heat up 1 tsp of oil in a cooking pan/wok, add minced garlic and fry until fragrant, add the soybean paste and chili powder, cook until oil releases. 5. Add minced turkey and keep breaking with spatula until it is loose and cooked. 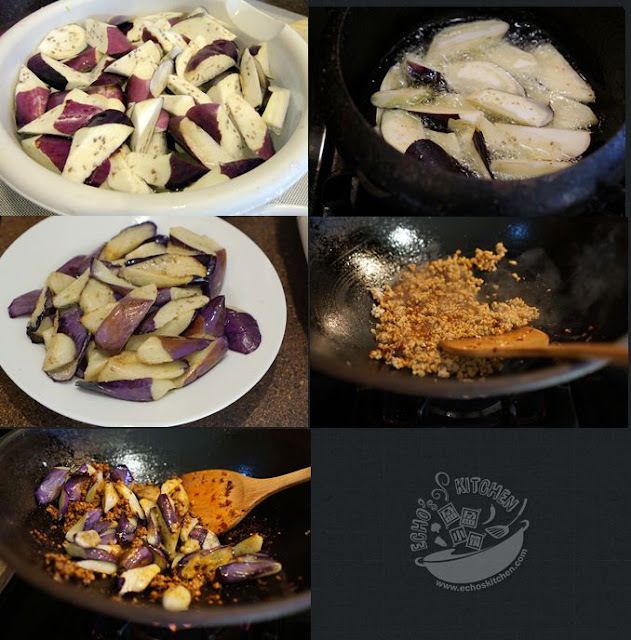 Add the sugar and the Brinjal and turn well, cook for 2-3 minutes until Brinjal become soft. 6. Add the corn starch and water and cook until gravy thickened. Garnish with some chopped spring onion before serving.